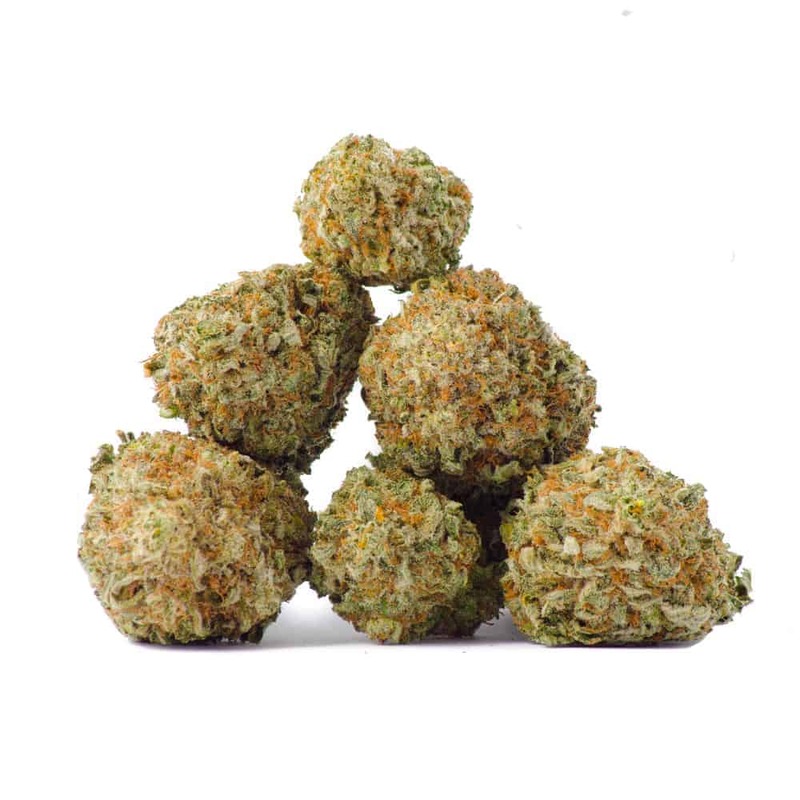 Black Diamond is a strain ideal for patients who need strong medication but still want to be active and sociable. A cross between Blackberry and Diamond OG, its flowers have a glittery trichome covering and purple coloring that make it a beautiful gem to look at. The strain’s aroma is musky and earthy, almost like a deep red wine. Black Diamond is known to cause fits of giggles and is a great strain for hanging out with friends or catching up on TV shows at home. This strain tends to make consumers extremely hungry, making it a good choice for those looking to increase their appetite (just make sure you have some snacks on hand).